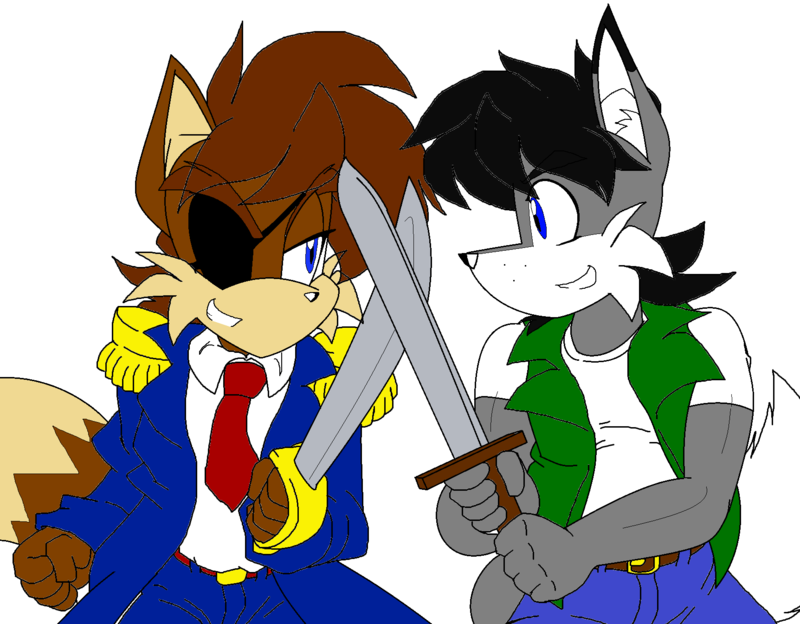 Zheng and I did some RPing with myself and Zheng as Amadeus Prower (aka Tails's father) some months ago, and I decided to purchase a two art trade for Steam money to have it come to light. Anyways, here is Fosteriah and Ama (short for Amadeus) doing some friendly sword fighting to see who's the best swordsfox ever. And, of course, Fosteriah is wielding a trainer's sword at the moment since using his usual sword, Lightinion, would make things unfair for Ama.